I'll be honest. I wasn't planning on making a post about "Hallongrottor". 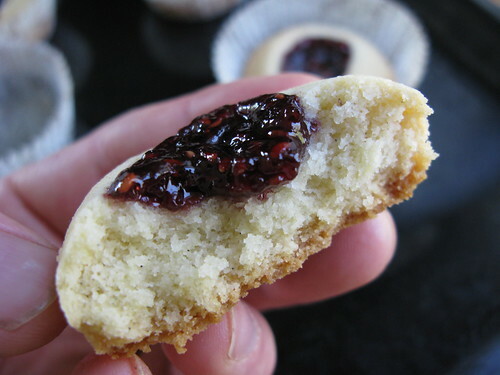 No, I was actually at the grocery store and had just picked up a 4-pack of these little raspberry jam-filled shortbread to enjoy with my afternoon cup of coffee. But, something compelled me to look at the ingredients list. So, much to my 2 year-old's consternation, I put the box back on the shelf. 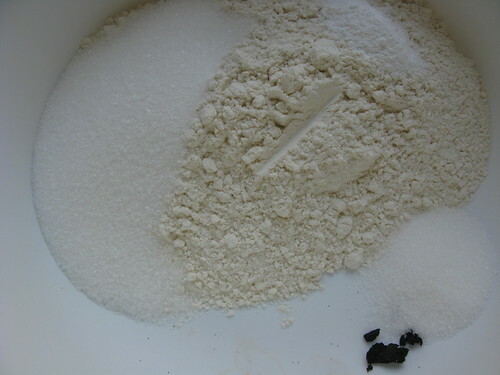 Start by mixing your dry ingredients together. 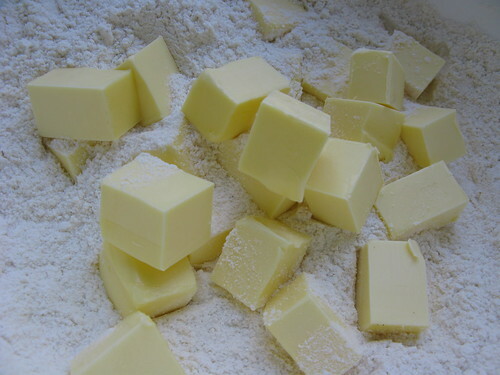 Cut your butter into chunks and add them to the dry ingredients. ... and cut the loaf into even slices. 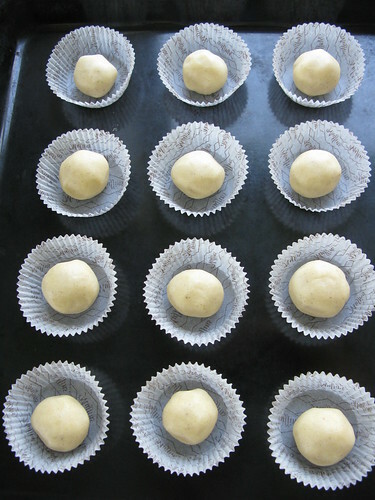 Roll each slice into a walnut-sized ball and place in a small cupcake form. 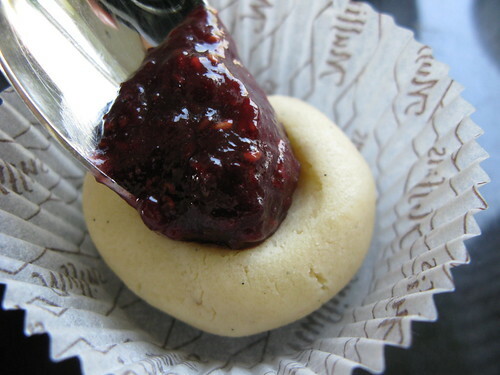 Fill each depression with about a teaspoon of raspberry jam. 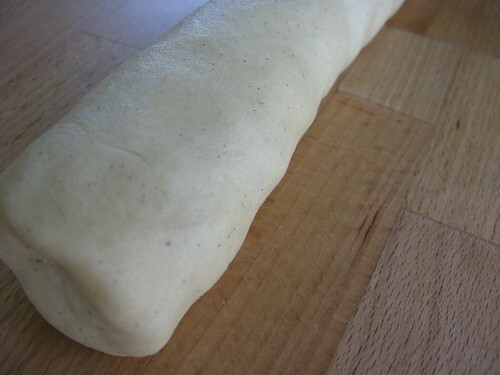 Bake at 400 degrees F for about 15 minutes or until browned. Rich, buttery and delicious! And with a much more palatable ingredients list. 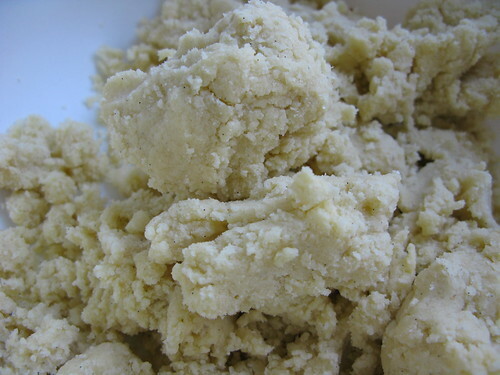 Start by mixing your dry ingredients together.Cut your butter into chunks and add them to the dry ingredients. 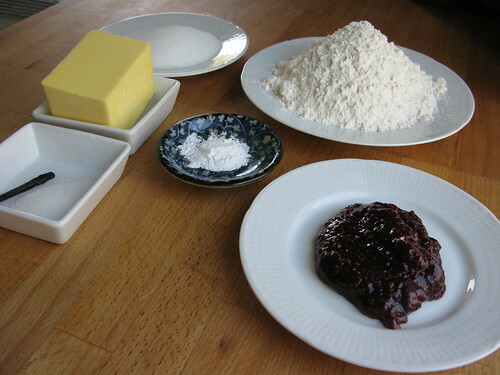 Mix until the ingredients come together into a dough. Roll into a loaf and cut the loaf into even slices. 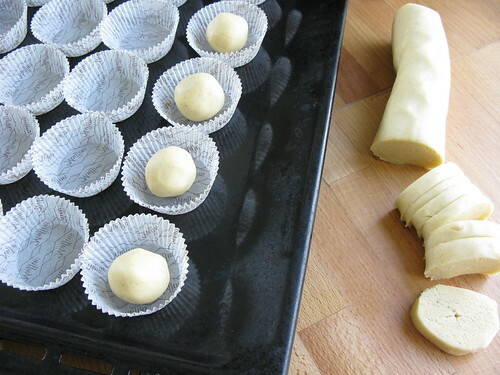 Roll each slice into a walnut-sized ball and place in a small cupcake form. Using your thumb, make a depression in each ball. 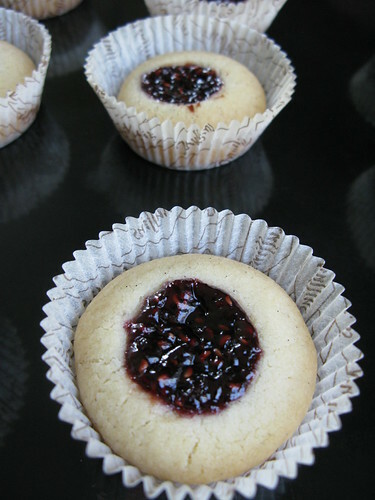 Fill each depression with about a teaspoon of raspberry jam. Very pretty. 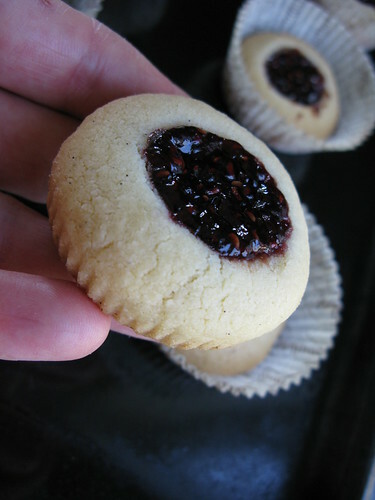 These are usually called "thumbprint" cookies in the U.S.
Lovely. I have never seen them made in little paper cups like that. 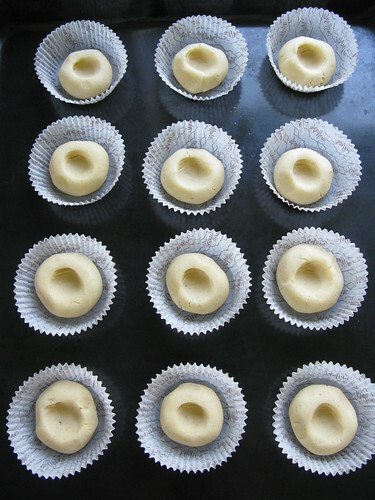 I have also seen them sprinkled with a mixture of finely chopped walnuts and sugar or just sugar. Or powdered sugar after they are done. I think I'll be adding these to my Christmas cookie list. Thanks for this! Pie Mama will love em! Thank you two for digging this post up! I just returned from celebrating Midsommar on the Swedish/Baltic island Gotland. While it's still too early for raspberries, we brought back 15 quarts of strawberries (countless others were consumed), about a pound of elderflowers and a few pounds of the last of this year's asparagus. 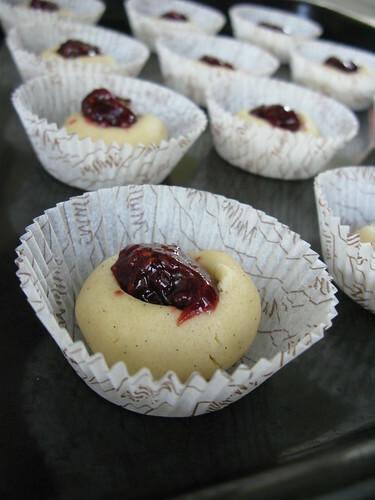 Perhaps these could be made with strawberry jam (and served with elderflower cordials)?